Rev. Dr. Aaron Willford, Jr. is a native of Fort Myers, FL. At a very early age he moved to Steelton, PA. He is the son of the late Aaron Willford, Sr. and the late Mrs. Scenella McDaniels. He graduated from the Steelton Highspire High School in June 1970. He attended Messiah College of Grantham, PA where he played on the basketball team. There he was the co-founder and president of the Black Student Union. Pastor Willford accepted the Lord at an early age. He was baptized in the Beulah Baptist Church, Steelton, PA. Later he joined the New Hope Primitive Baptist Church under the leadership of Rev. Scott A. White, Sr. In October 1971 he preached his initial sermon and was ordained into the ministry on August 23, 1976 by the Second National Primitive Baptist Association. In January 1981, he was ordained by the Central Missionary Baptist Association. He was called to become Pastor of the Bethlehem Baptist Church, York, Pennsylvania in October 1980. The Church has been blessed through his ministry and many sheep have been added to the flock. Pastor Willford is active in meeting the needs of people both within the church and throughout the community. In June 1994 Pastor Willford received his Masters of Theology, and in June 1995 his Doctorate of Theology, both from the Philadelphia Bible College and Seminary. Pastor Willford is a past Moderator of the Central Baptist Association, past Regional Vice-President of the Pennsylvania Baptist State Convention, and board member of Claim Inc. of the Pennsylvania Baptist State Convention. Pastor Willford has served on the board of Family Services of York and Harrisburg, Board of Directors of the Crispus Attucks Community Center, and the Rehabilitation Industrialization Training Center (RITC). He also served as Assistant Varsity Wrestling Coach for the William Penn Senior High School in York, PA. Pastor Willford served three terms as President of the Black Ministers Association of York County, board member of Community Progress Council of York, and is a co-founder of The African-American Political Round Table. In 2003 he was selected and served on the committee to select a new Police Commissioner. In the summer of 2004 Pastor Willford was involved in the 1000 black men’s march against violence, drugs and illiteracy. Pastor Willford is the founder and current President of the Baptist Ministers Conference of Central Pa. He also serves a Commissioner on the PA Governor’s Commission for African American Affairs. 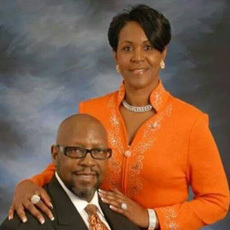 Pastor Willford is married to Jean (Oden) Willford. He is the father of Dewitt A. Brown, daughter-in-law Erica Brown, Matthew Aaron Willford, Anita Yvette Willford, Erin Lynette Willford-Skipworth, and son-in-law Radee Skipworth. He has 10 great-grandchildren and 1 great-grandchild. God has prospered Pastor Willford to serve the longest tenure of any pastor to the Bethlehem Baptist Church. He leads the church with "a vision and a mission" to go into all the world. His testimony is "If I can help somebody as I travel along the way, then I'll know that my living shall not be in vain".